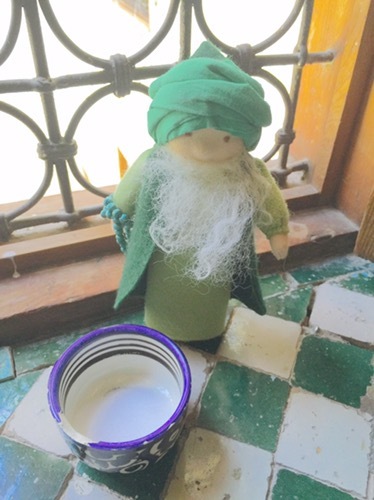 Today our little dervish is showing us the sunnah of taking salt before and after meals. The benefit of this practice is to prevent illness from the food. This Dervish Doll was comissioned by Sirajunmunria from WaldorfMagicGlade on Etsy. Please share your ideas for teaching the practices of Islam to children.